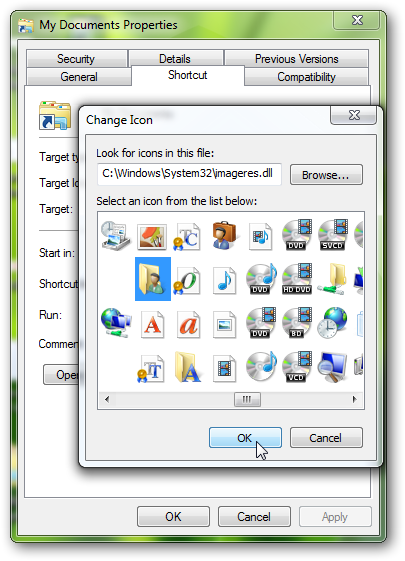 In earlier posts, we have discussed how you can pin any drive on the taskbar, pin any folder in Windows 7 start menu. We will now discuss how to pin any folder or even the control panel on Windows 7 taskbar. Normally, we can not pin a folder directly on the taskbar. This is only possible for applications. Here is a tip to pin directly to a personal folder to the taskbar. 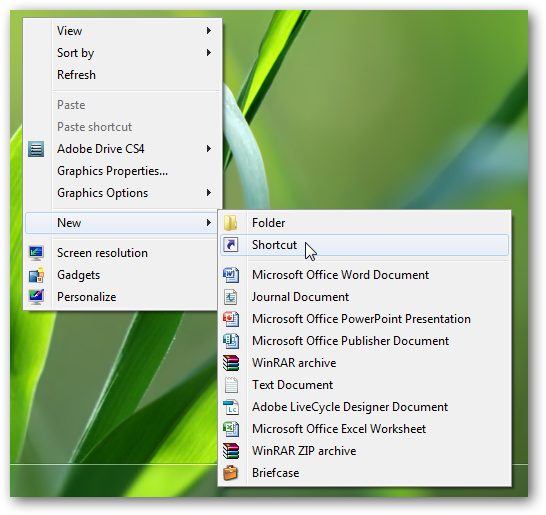 In this example, the My Documents folder will be pinned to the Taskbar. 3. 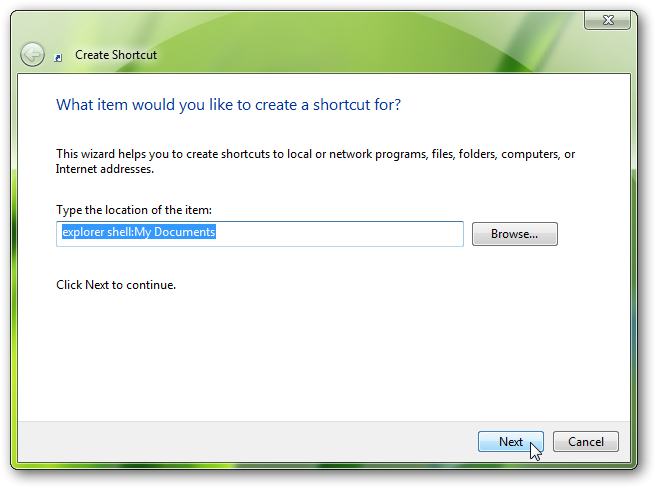 Click next and rename the shortcut to “My Documents” in the next window and click finish. Select the one that matches with My Documents folder icon. Click OK and Again Apply and and OK in the properties Window. 7. Now delete the shortcut on desktop. We do not need it more. One can of course adapt the procedure for individual files. Only the location of the item that changes, then customize the name and icon of the shortcut. Replace ” > ” with backslash in above examples. Organize your music,video files through Windows explorer interface. The main benefit of the second way is that, in case you have format and re-install Windows 7, you can back up easily by just copying the “Music, “Videos” folders. I am really Glad i found this blog.Added thecustomizewindows.com to my bookmark! We are also glad to have valuable visitor like you. Thank you very much. Cite this article as: Abhishek Ghosh, "Pin any folder or control panel on the taskbar in Windows 7," in The Customize Windows, December 9, 2010, April 20, 2019, https://thecustomizewindows.com/2010/12/pin-any-folder-or-control-panel-on-the-taskbar-in-windows-7/.